I’m not going to lie, I’m pretty excited that it is Friday. Like, really excited. 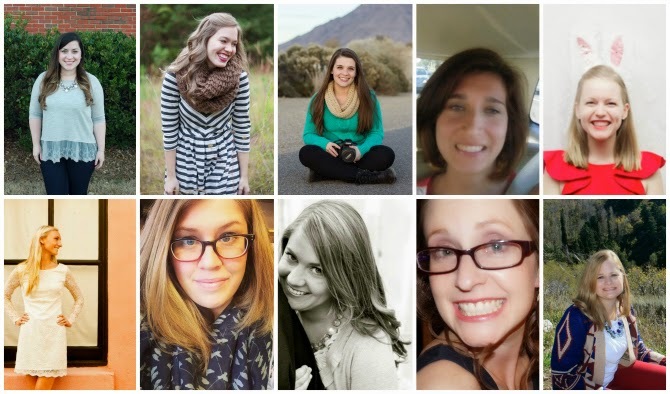 Linking up with Christina, Jennie, Amanda, and Karly to celebrate! John’s mom arrived in Scottsdale yesterday, and we are excited to be hosting her for the weekend. It has been awhile since we have seen her, so we are looking forward to catching up! 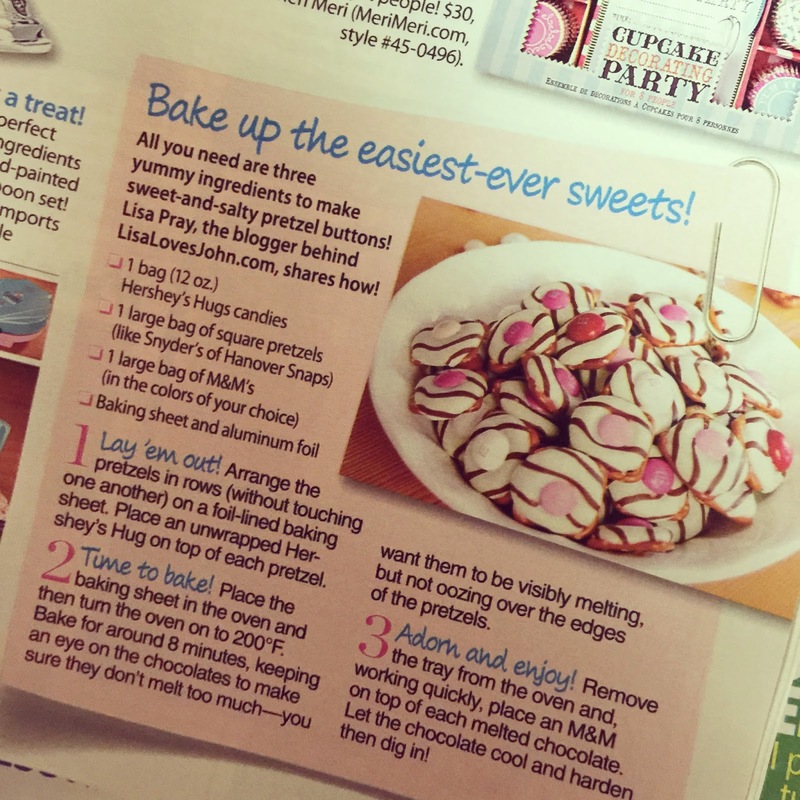 A couple months ago, someone from Woman’s World magazine contacted me about my Valentine’s Day Buttons, and they ended up getting used in the March 2nd issue! I was pretty excited about it, and it’s super fun to see my bloggity blog referenced in print! Next week is officially the birthday week in the Pray family. It is both John and Scout’s birthday, so I am sure there will be much indulgence in Sprinkles pup and human cupcakes this weekend. Have you heard about using apple cider vinegar hair rinse? I used it after my shampoo and I’m not sure if it did anything... except make my smell like vinegar? I’ve heard it works wonders for clarifying your hair, but maybe I did it wrong? Any tips? 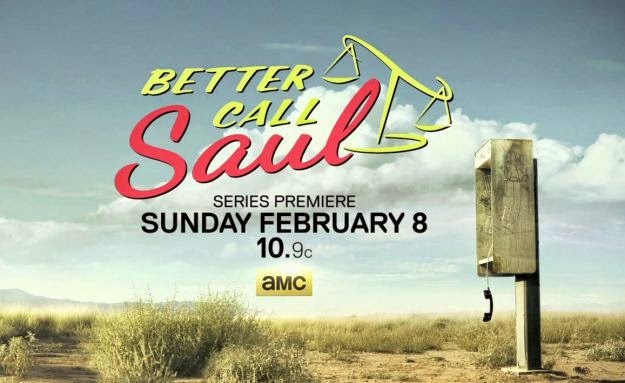 For all the people out there that watched Breaking Bad, have you seen the new Better Call Saul show? I haven’t watched it yet, so I’m interested in hearing whether or not the spin-off is any good. 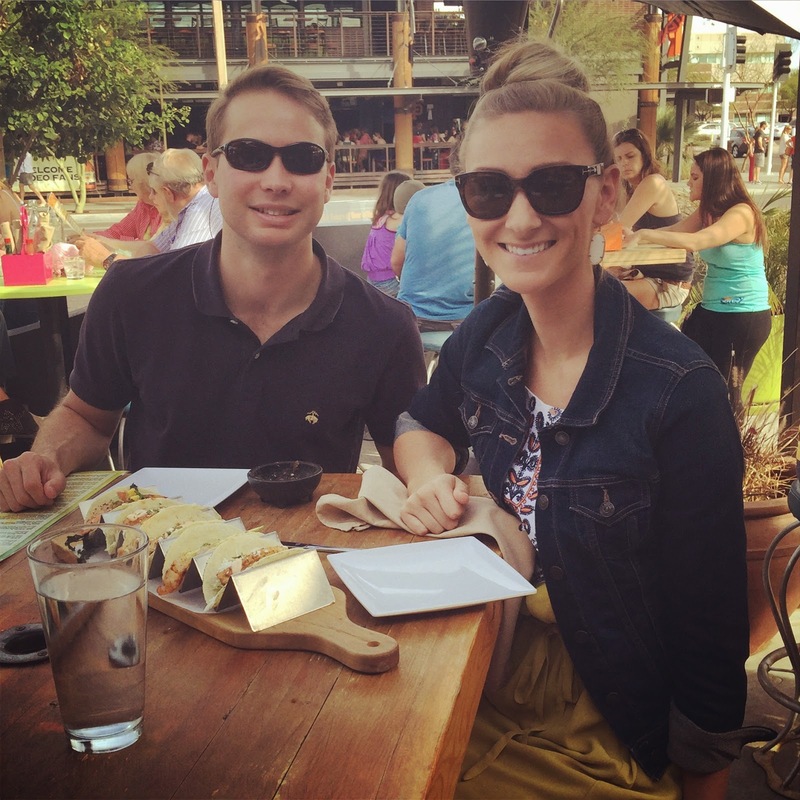 One of my favorite things to do with John is to go exploring on long weekends... he does such an awesome job of perfectly organizing all of our activities to get in as much as we possibly can while it still being fun (and semi relaxing) – we call it organized fun! Since time off from work can be difficult to come by for longer international vacations, we have really enjoyed seeing more of the US and enjoying long weekends traveling to fun cities. 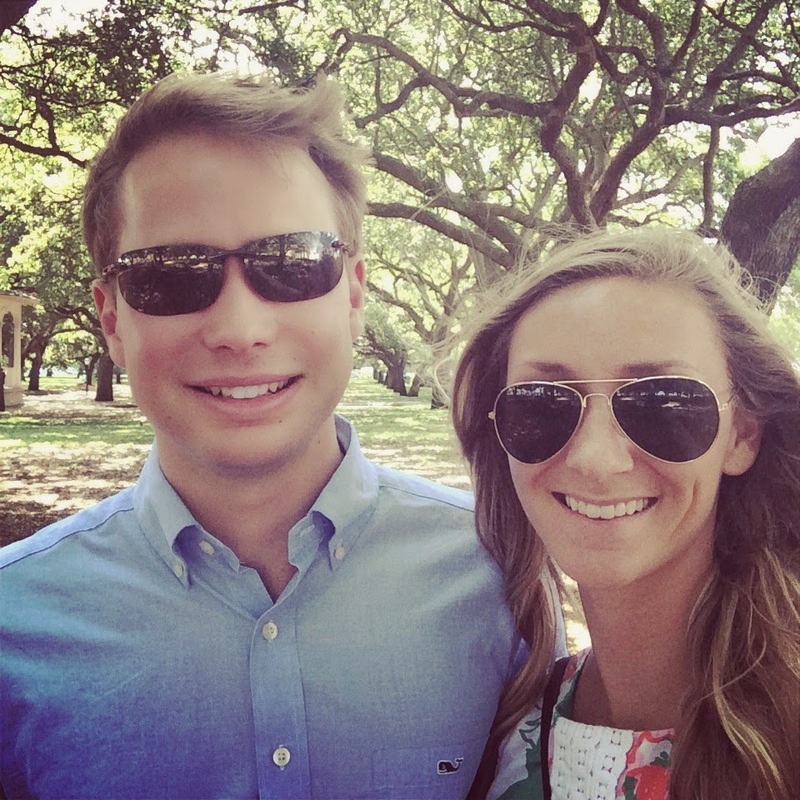 John and I went to Charleston for our 1st and 3rd wedding anniversaries, and basically I am obsessed and super jealous of anyone that gets to actually live there. But it’s probably for the best that I don’t live there, otherwise I may spend all of my money shopping. This past Thanksgiving, John and I spent a long weekend in Seattle, and (I) feel in love... John was already in love (hence the reason we went there). We explored the city and went to Mount Rainer National Park. 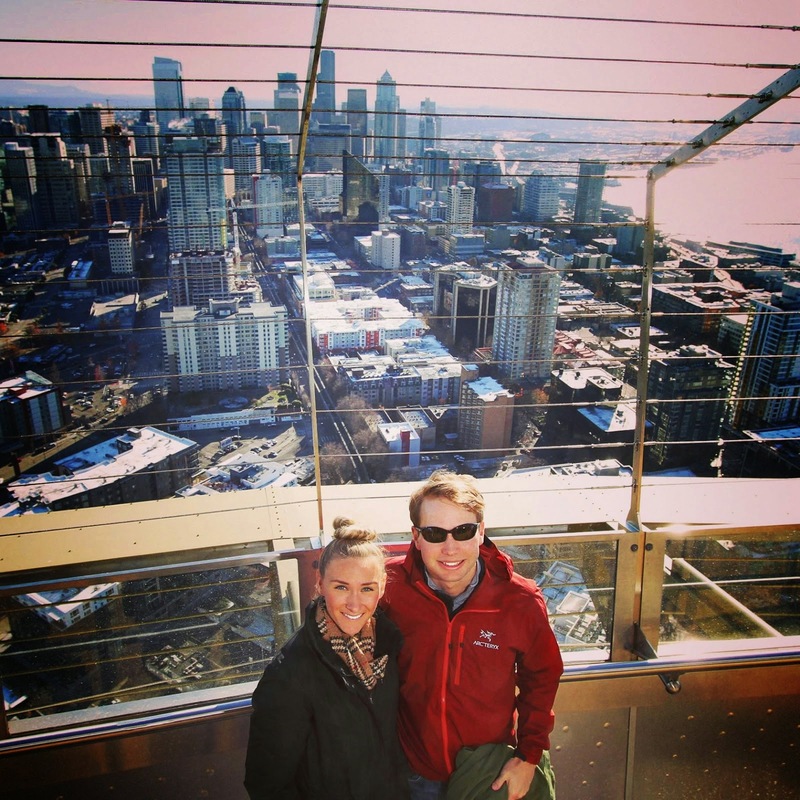 As much as I love going new places, Seattle will certainly remain on our “repeat” list. Last year, John and I went to Austin, and I couldn’t even believe how cool of a city it was. Similar to Charleston, if you get to live here full time, I am incredibly jealous of you! 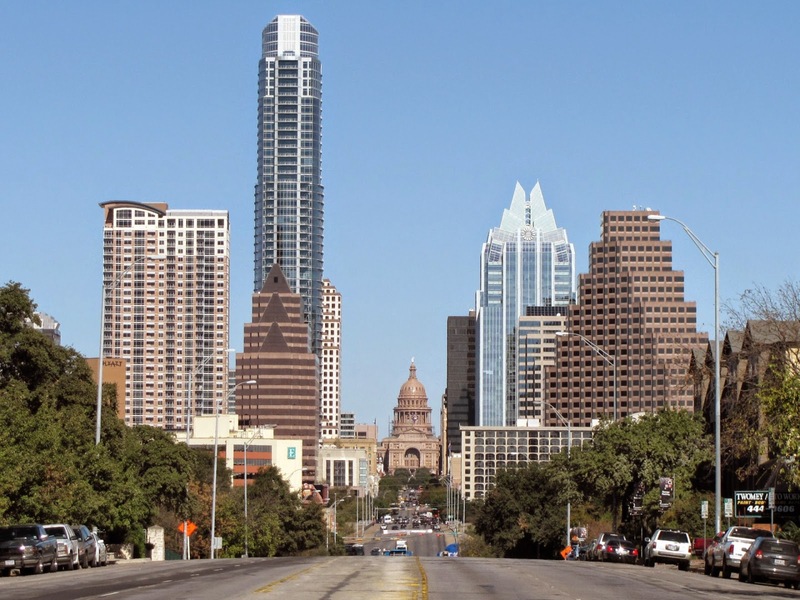 There is so much to do in Austin, and I certainly wouldn’t mind moving there. John and I went to Key West shortly after we got engaged, and I will always remember the city for our fun exploring and tasty margaritas. 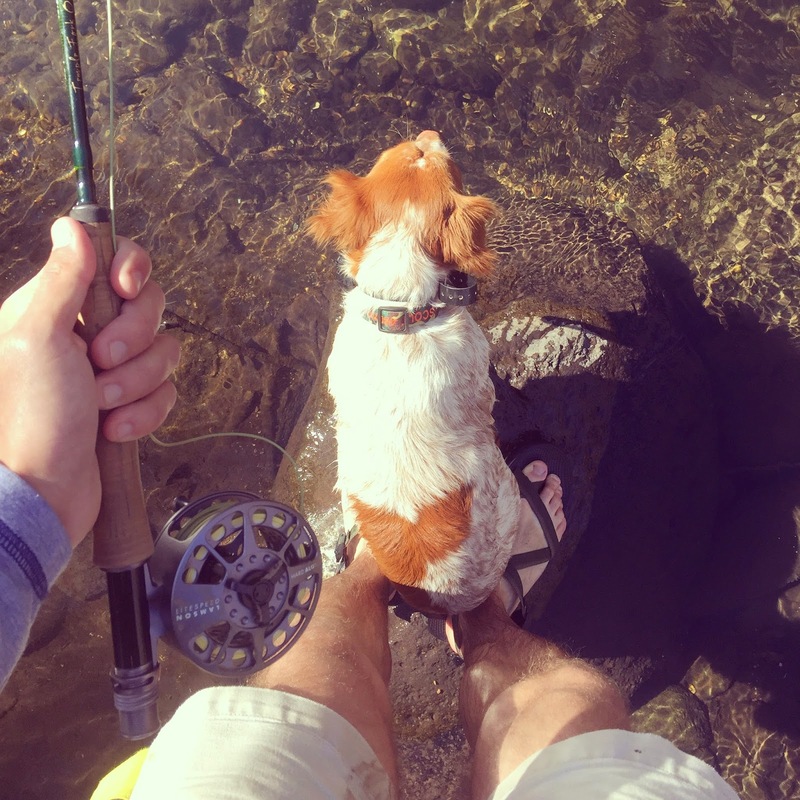 Okay, okay, okay – this one may take a bit of explaining since we live here, but our city is pretty cool – the weather is fabulous (sans summer) and there is a lot of really cool places within close proximity… Sedona, Flagstaff and the Grand Canyon to name a few. It’s a pretty awesome place to live and an awesome travel destination! John and I have been to many cool places together, but you better believe our “to-travel” list grows daily. Here is a list of current domestic wanderlusts. AND, if you have been to these places, you better give me your must-sees! 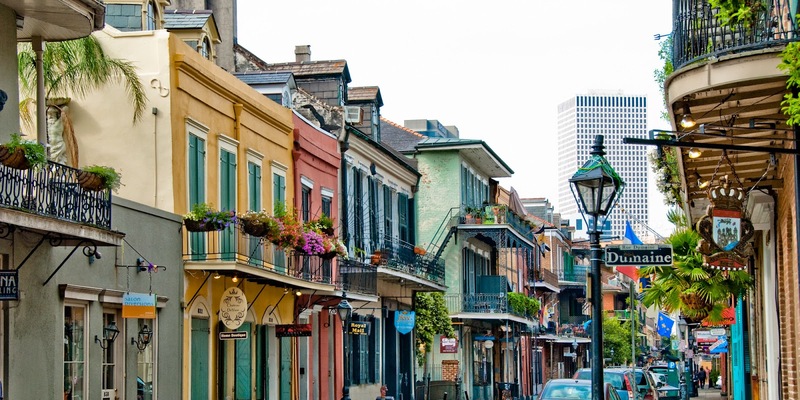 John has been to New Orleans several times, so this destination is not as high on his list, but I’ve been dying to go for a while. It seems like such a unique place with an amazing culture. Even if I only go once, I really want to go to NYC. We may or may not have a plan in the works (...John just doesn’t know about it yet). Hopefully we will be visiting here this summer! 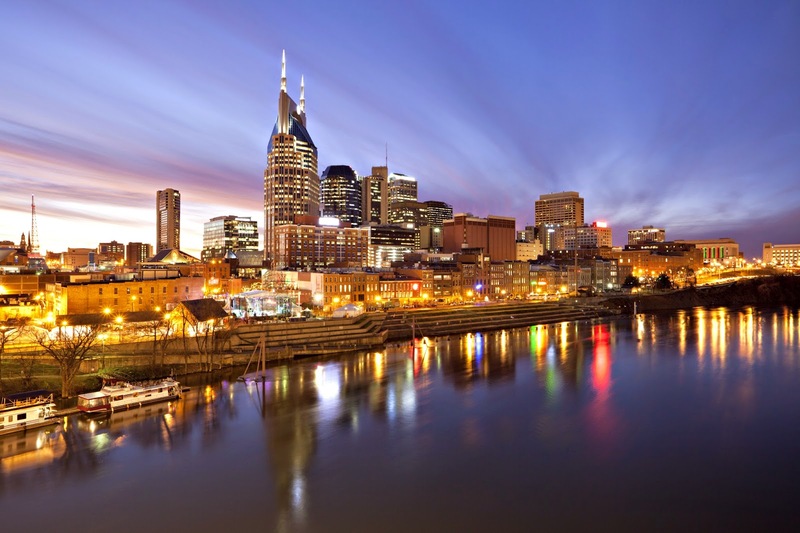 I don’t really know much about Nashville other than that people are obsessed with it. So, it’s that easy – I must visit and see what the fuss is all about! Okay, so basically we are dying to visit anywhere in Alaska. It looks like a completely different world and would be so amazing to explore. 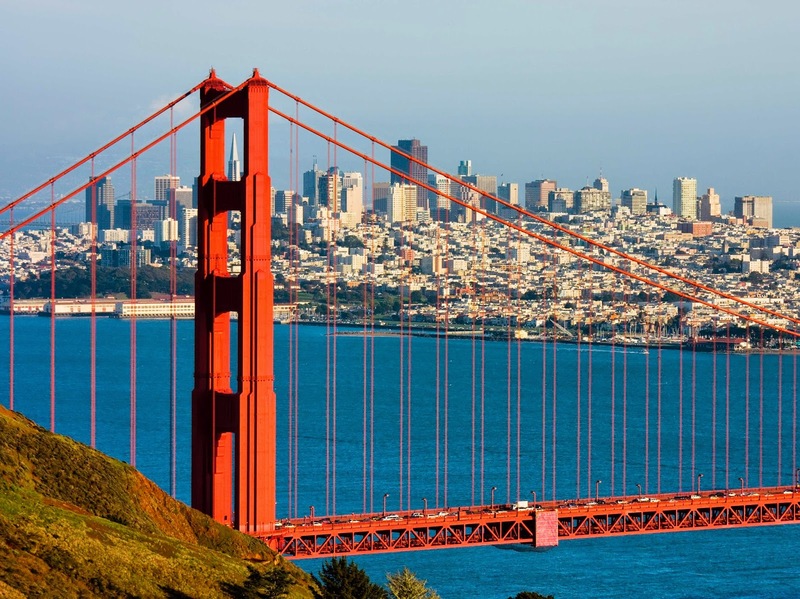 What are your favorite US cities to visit?! You know how some people have wordless Wednesday posts? Basically where they have a blog post of all pictures and no words? Well, I'm doing the exact opposite... all words, and no photos - a blogger "no-no," but imma do it anyway! The number of different state bar exams John will have taken after today is over. The age of my pup come Tuesday... yay, for puppy birthdays! The age of John come Wednesday... yay, for hubby birthdays! The number of miles that I drive to and from work every day. The number of times I snooze my alarm in the morning... legit, four times – it’s bad! The number of cavities that John has. The number of cavities that I have – girlfriend cannot. catch. a. break. The number of piercings I had in my ears at one point... thankfully all have closed (except one in each year). It looked pretty amazing. Not. The number of cream cheese wontons I could eat in a single sitting. My most favorite chapter of the Bible (Hebrews 11). The amount of money you can win in the below giveaway with Courtney! So get this... I’ve been working long hours lately, and when I came home from work a few days ago, the sweetest hubby in the world made me the most bomb meal ever. I’m talkin’ straight out of a cookbook – I felt so special, and it tasted absolutely delicious! It was so good, in fact, that I had to brag on him and share the recipe – and look at all of the beautiful colors... pretty well done, if you ask me! 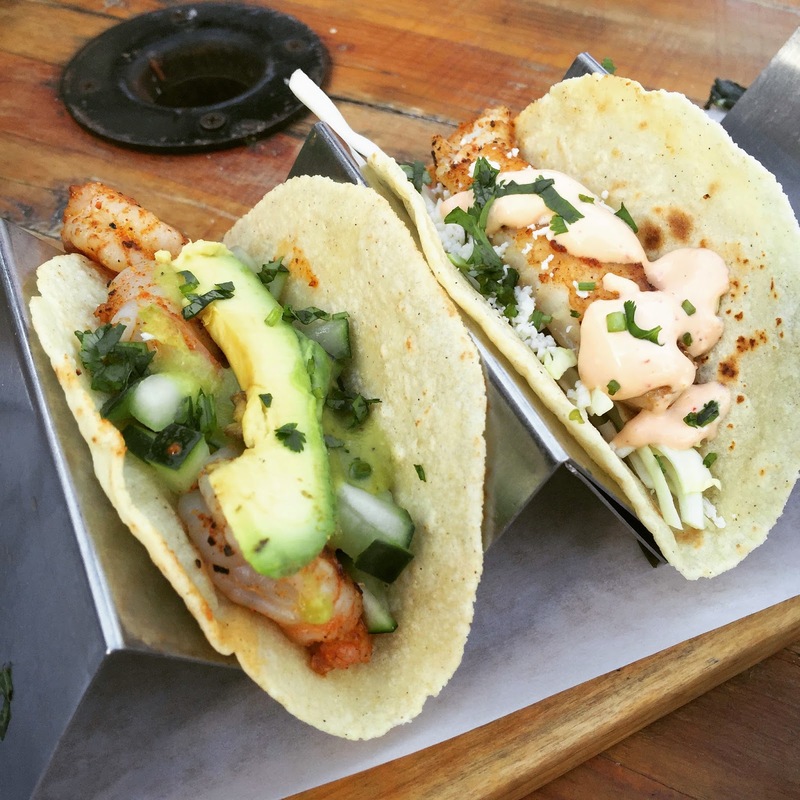 I’ve said this before, and I surely mean it, girlfriend loves street tacos… they are the way to my heart, and John knows it! You can mix and match your ingredients, but every street taco needs some sort of amazing sauce. 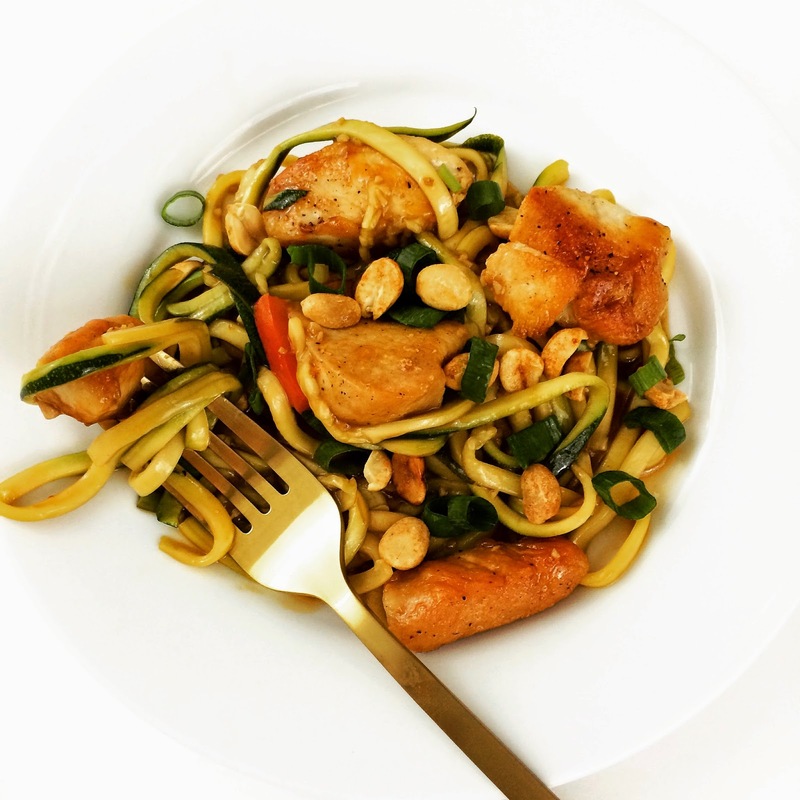 John found this recipe, and it will certainly be on repeat! Put all ingredients into a blender and pulse for 1-2 minutes, or until smooth. 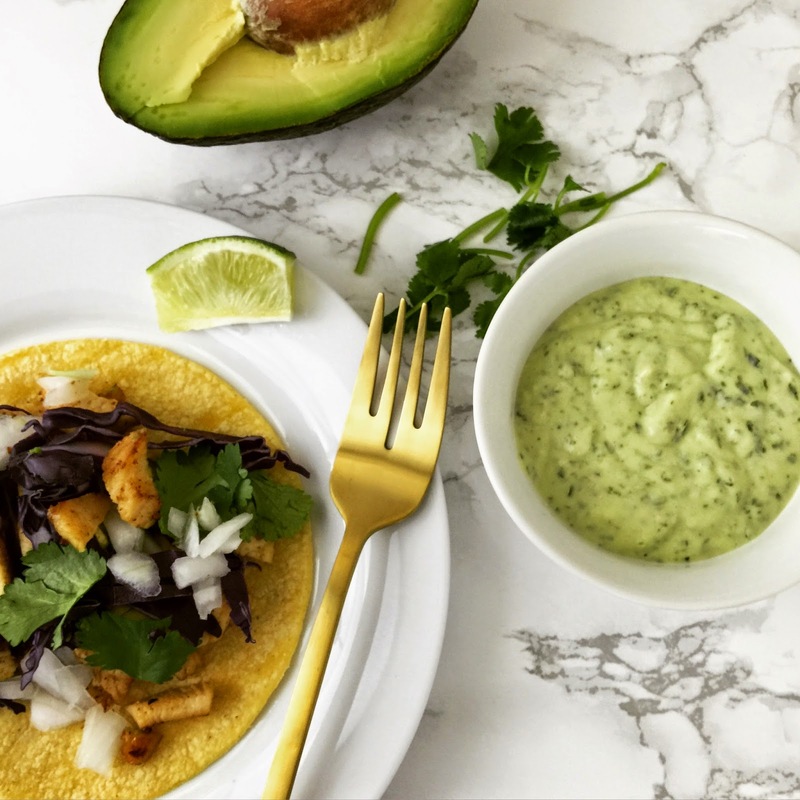 For our street tacos we had small corn tortillas, chicken, red cabbage, white onion, cilantro, and avocado... and they were uh-mazing! Is it just me, or does a perfectly ripe avocado bring a tear to your eye? 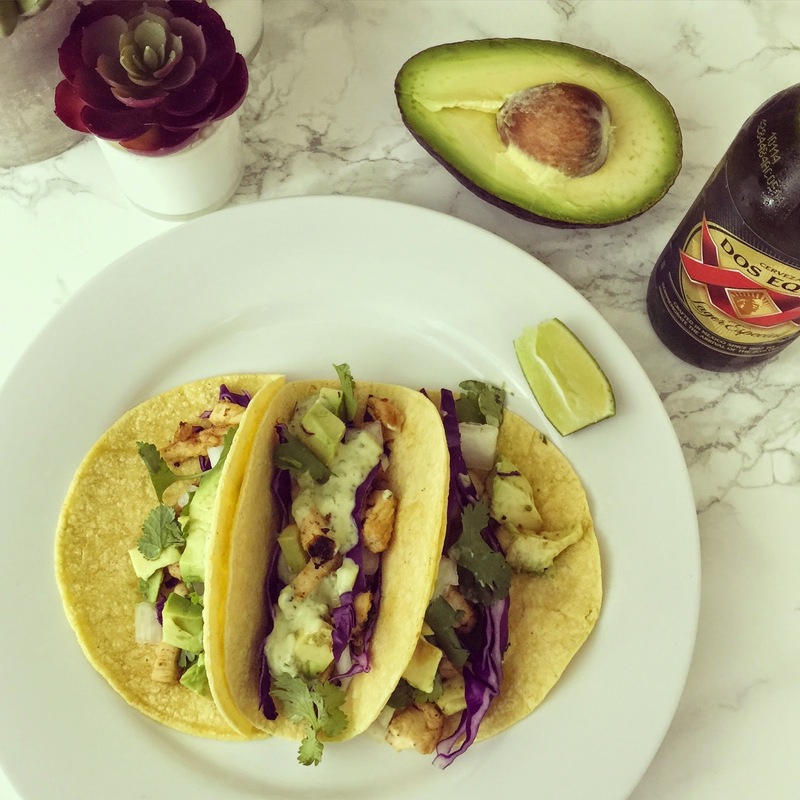 Pair with a Dos Equis (or a margarita! ), and you’ve got yourself a pretty fabulous meal. Have a sweet tooth? 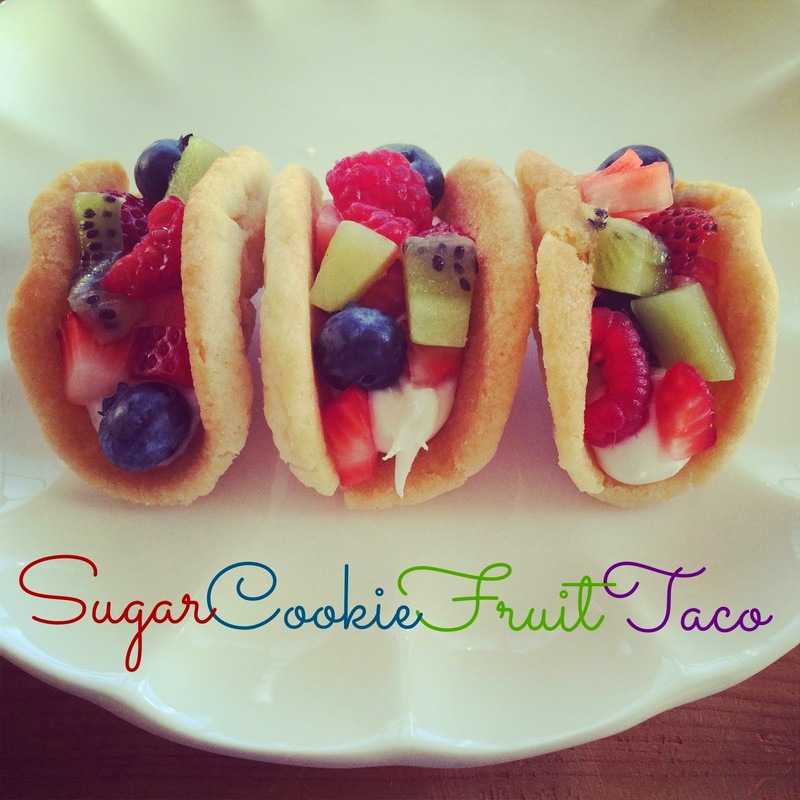 Check out my sugar cookie fruit tacos for dessert! 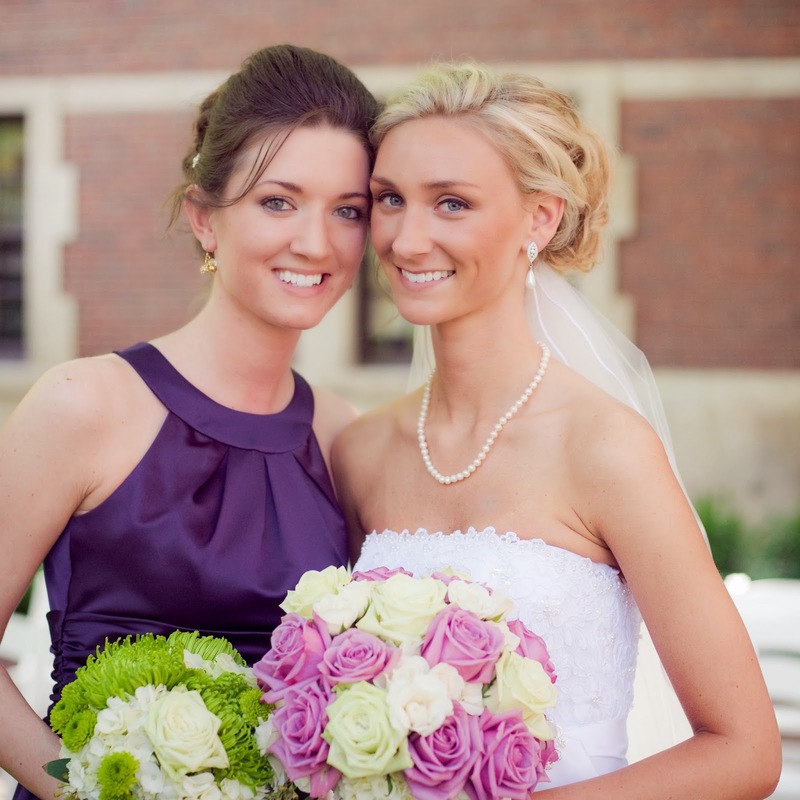 Today you’ll catch me guest posting over on Courtney’s blog, A+ Life! 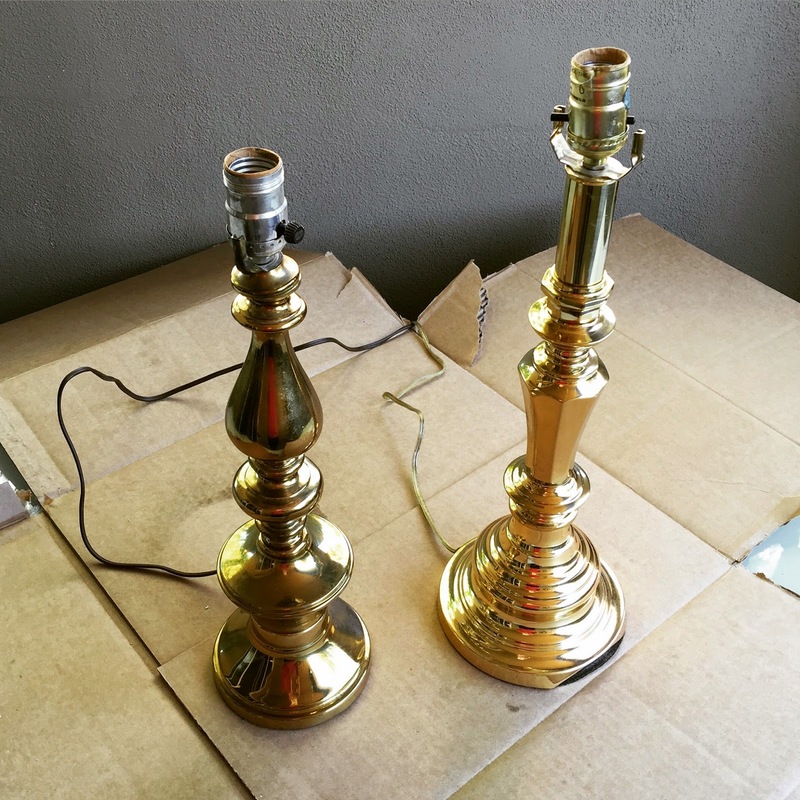 I’m sharing my recent upcycling of candlestick lamps. 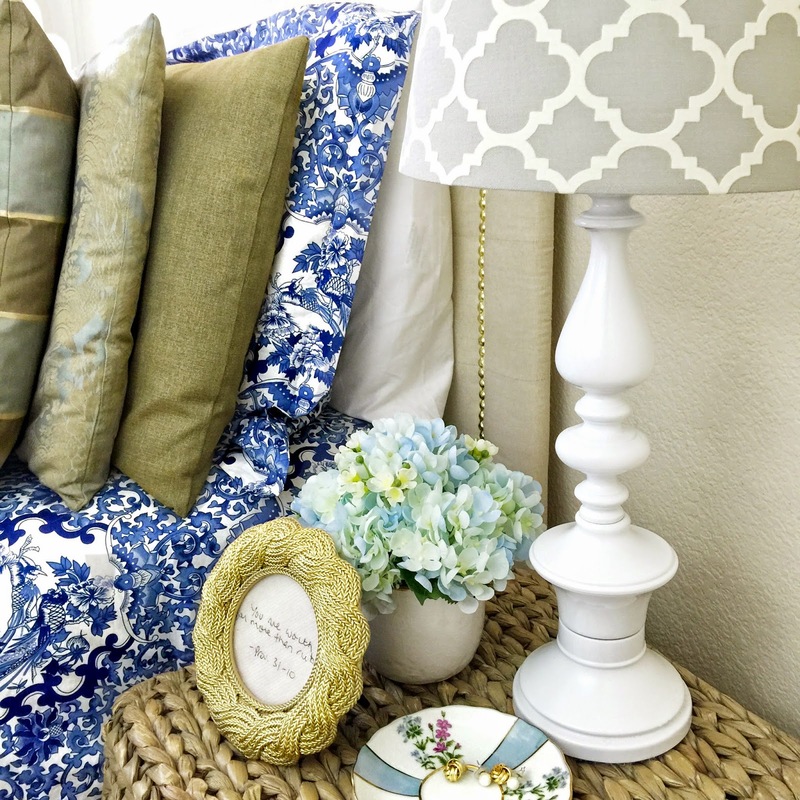 Super easy and only requires spray paint… holler! It was my first experience repurposing something from Goodwill, and I’m not going to lie, it was kind of fun! If so, please tell me all of your project inspirations! 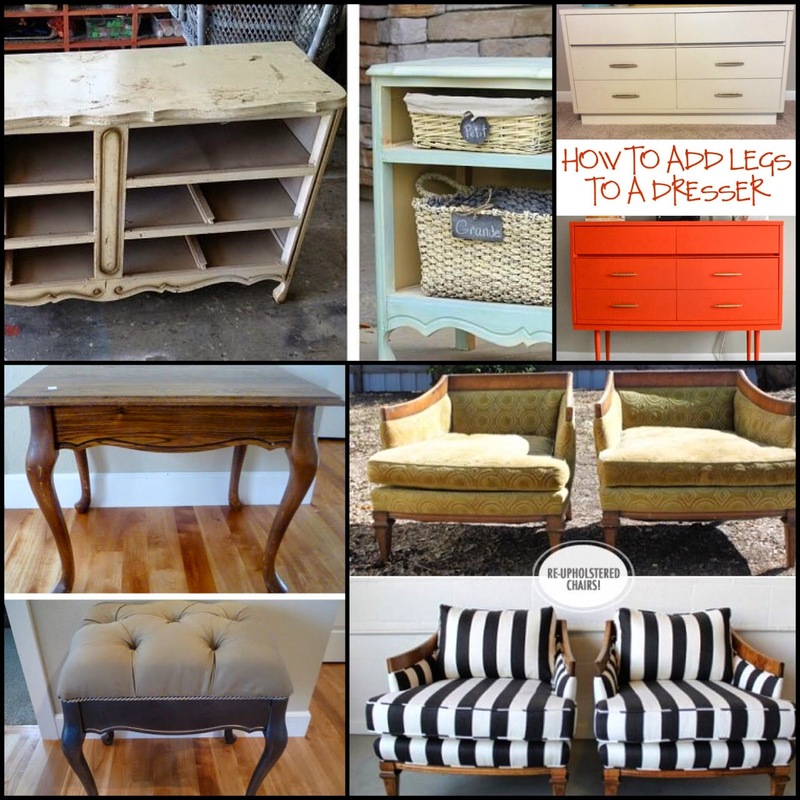 Look at these awesome Goodwill upcycles that I found on Pinterest! 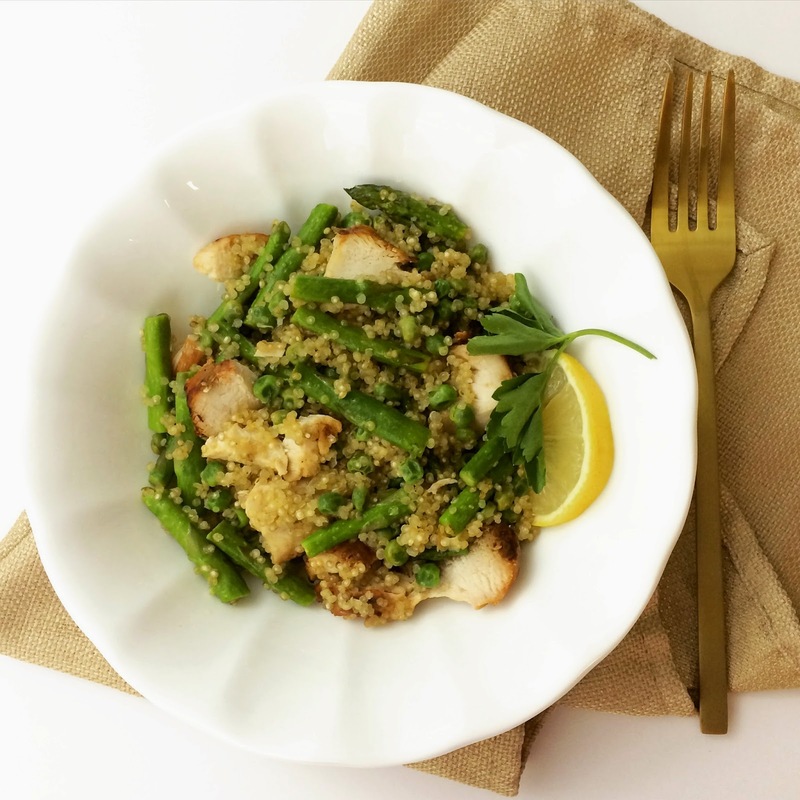 Warm Chicken and Quinoa Salad + Giveaway! 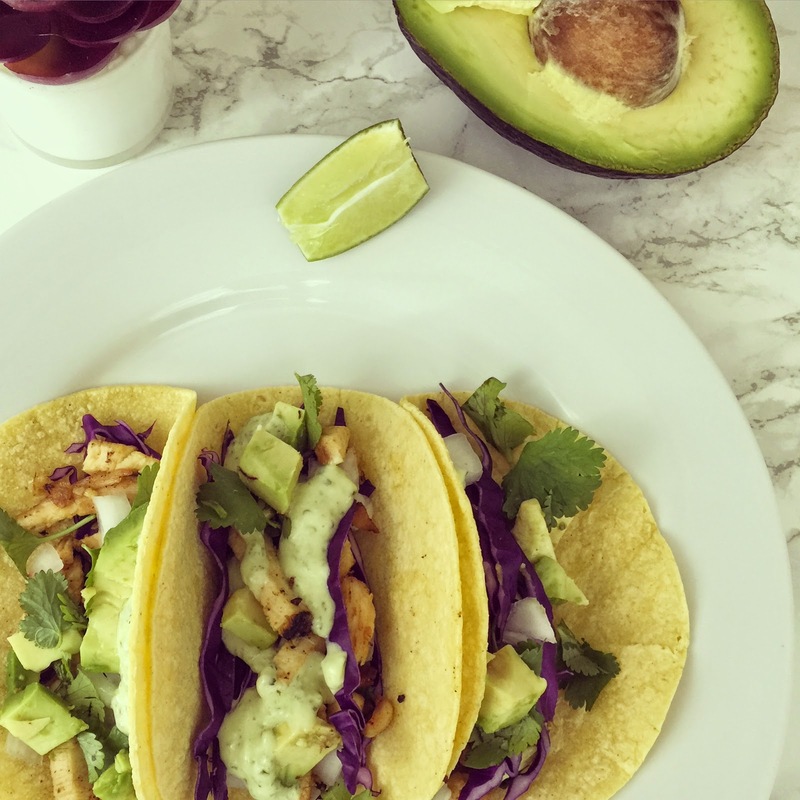 I’ve been dying to share this recipe for a while now, and I am finally getting around to it... better late than never, I guess! My sweet mother-in-law gifted me a One Pot Martha Stewart cookbook, and as soon as I saw this recipe, I knew it would be a hit. 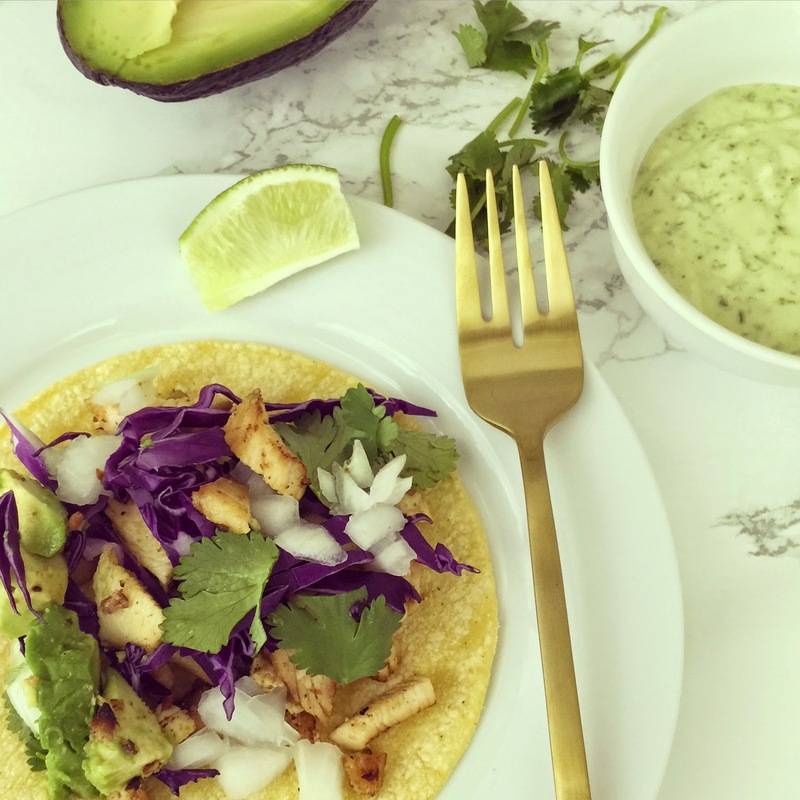 ...And if you didn’t guess, this recipe is made in a single stove-top sauce pan, which is perfect for easy weeknight clean up! Start by heating 3 tablespoons of olive oil in a pan and sauté four scallion whites until soft and fragrant. Next, add 1 cup of quinoa, zest of 1 lemon, and 1 1/3 cups of water. Bring to a boil, then let simmer for 10 minutes. 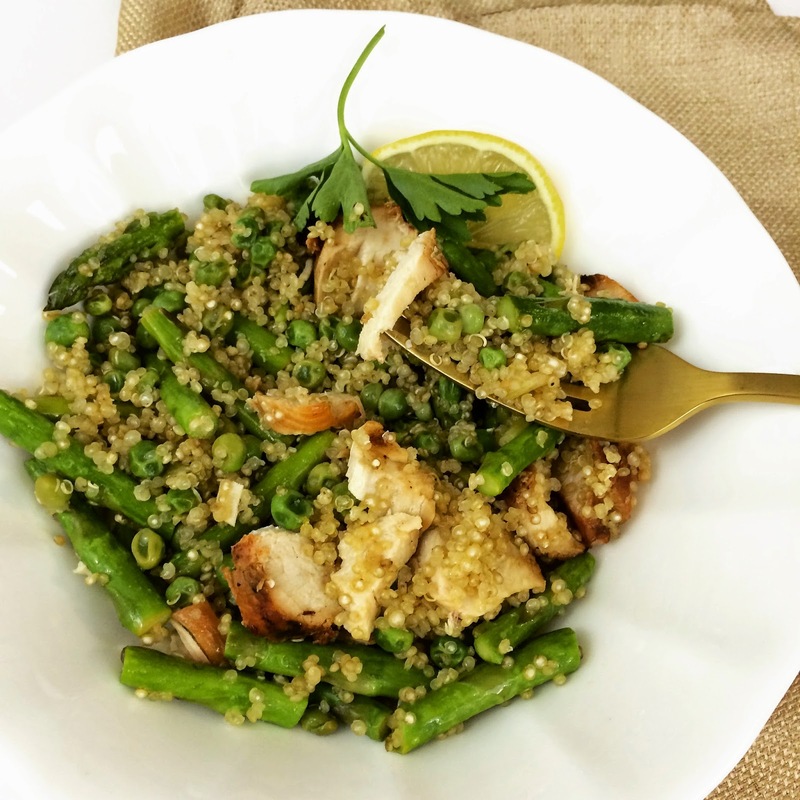 Add a cooked chicken breast (shredded or cubed), asparagus tips, and about 1/2 cup of frozen peas. Cook for another 4-5 minutes or until the asparagus is cooked through. Finish by incorporating 1 tablespoon of fresh lemon juice, salt and pepper. 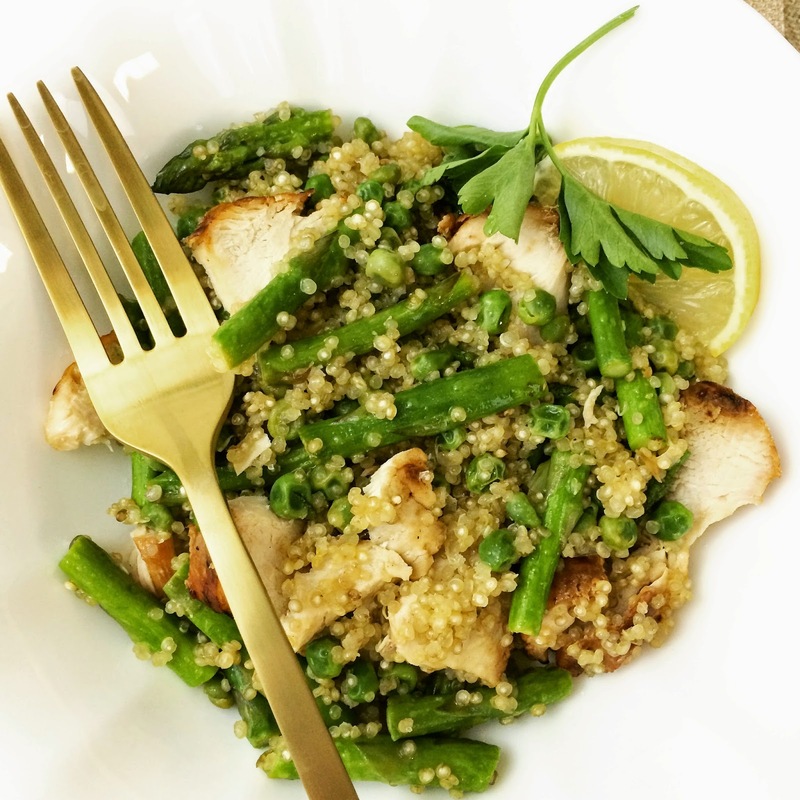 This recipe is a healthy dinner that would be great served alone or with a slice of pita bread... John has even asked to put this into our weekly rotation (which is fine by me considering it takes about 30 minutes from start to finish!). If you don’t like asparagus, swap it out for Brussels sprouts! Mix and match your favorite veggies, and you will be sure to love it! 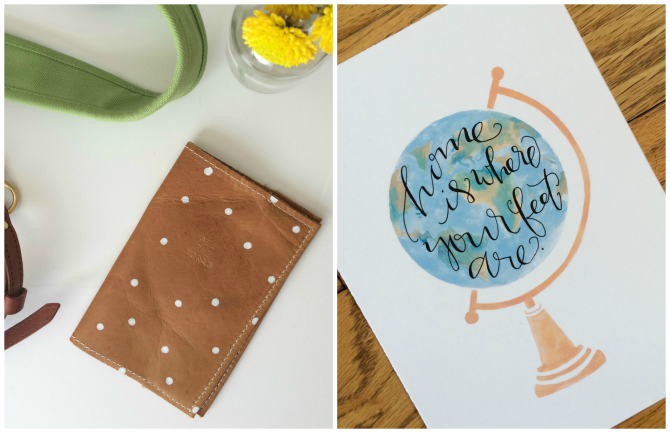 I'm teaming up with some of my favorite bloggers to bring you a giveaway for the travel lover. 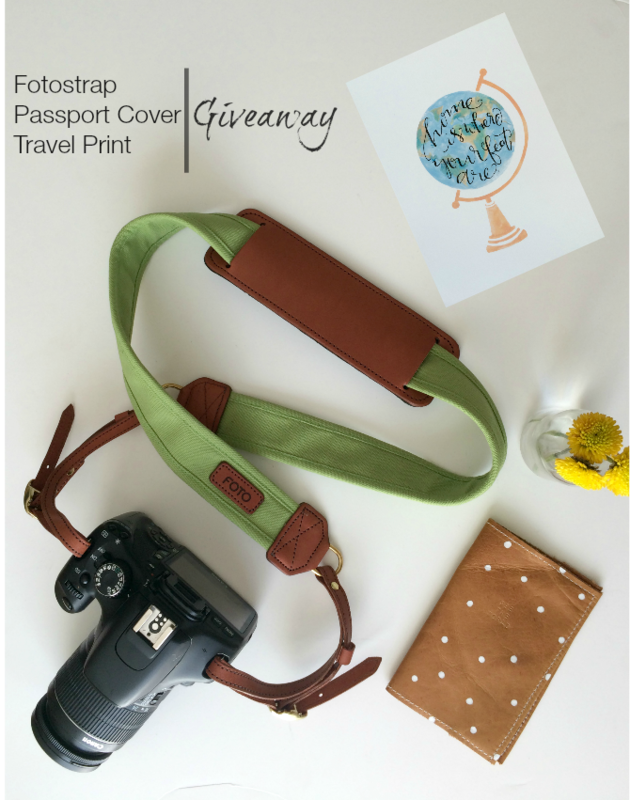 One lucky reader will win a Fotostrap, a polka dotted leather "See the World" passport cover from Always Rooney, and a "Home is Where Your Feet Are" print from East West Design Co. This giveaway is run via rafflecopter, and all entries will be verified. The winner must claim their prize within 48 hours of being emailed. Giveaway is only open to those living in the US. Hope everyone had a wonderful Valentine's Day weekend! I don't know about you, but I was all about Valentine's Day falling on a Saturday... it felt more like a "real" holiday! We started the day with a little outside dining at Salty Senorita. Something about sunshine, Mexican food, and Valentine's Day are all quite fitting, if you ask me! Margs. 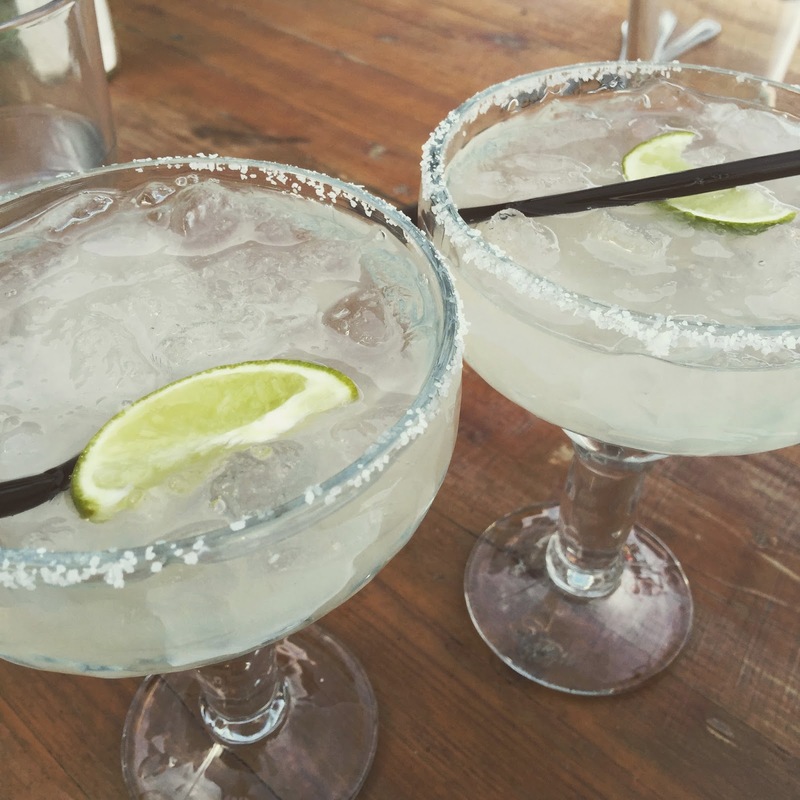 Gotta have a marg! And tacos... Yes, please. Tacos are my love language. 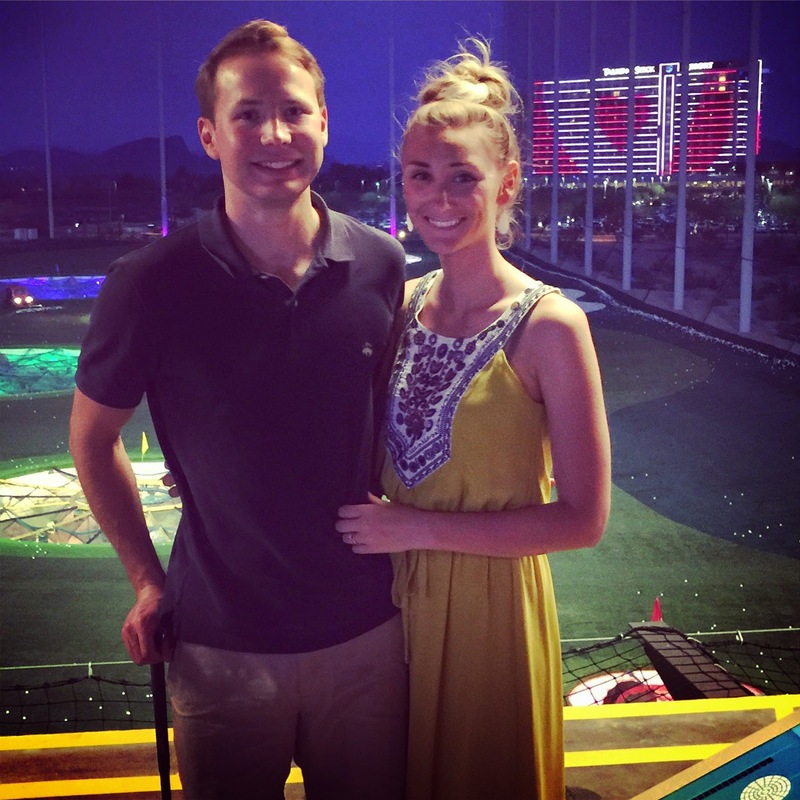 We finished the evening with some Topgolf! It was a beautiful evening and a fun way to be outside while still relaxing. 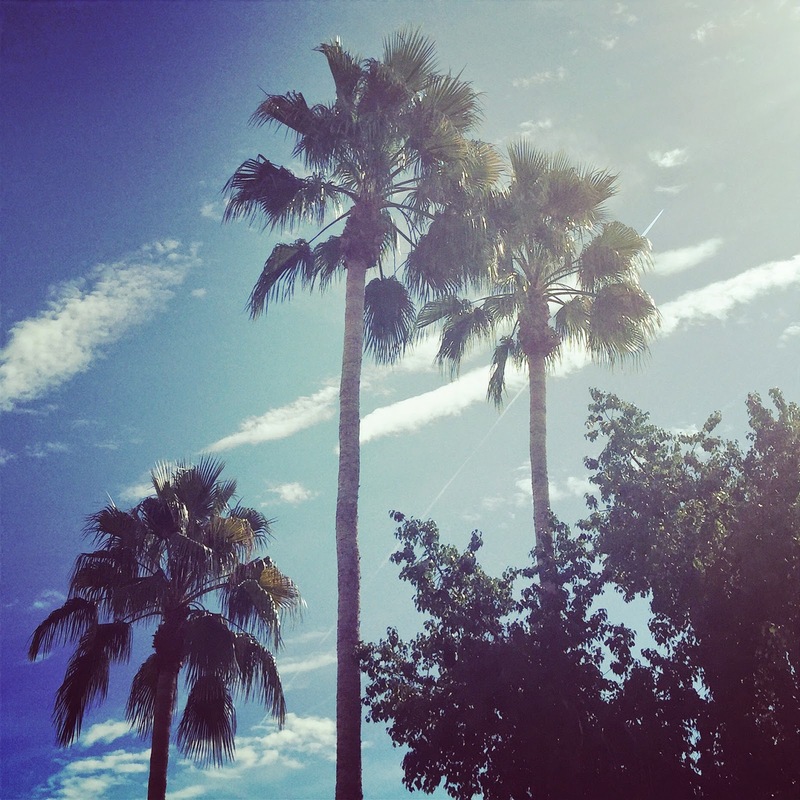 I know I keep saying this, but I seriously cannot get over this Arizona "winter." It now makes perfect sense why people are willing to suffer through the extreme summers, because the winter just could not be more perfect. 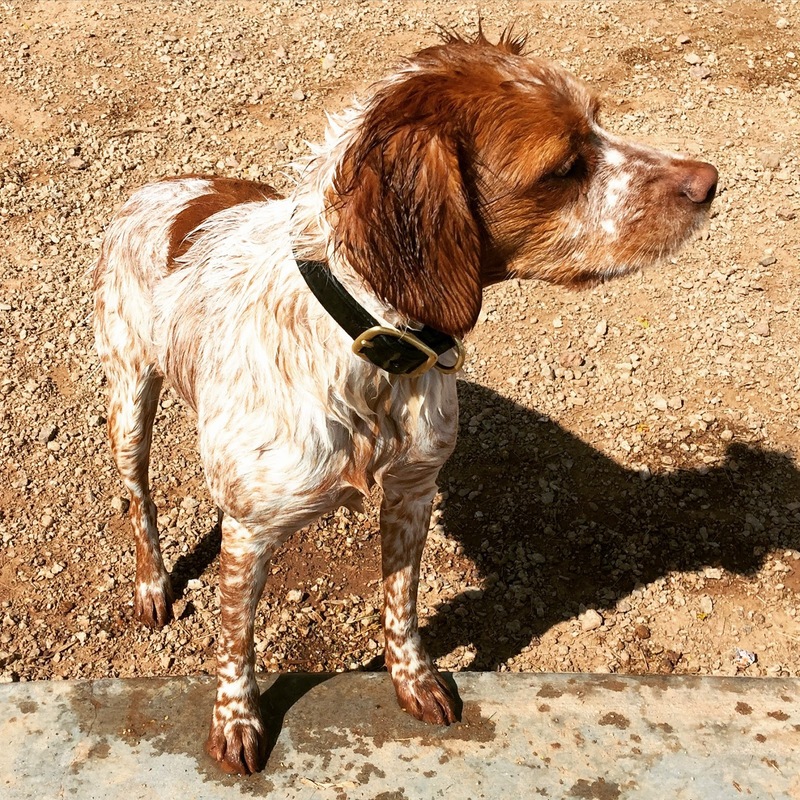 We took our Scoutbug to go swimming so she could enjoy the nice weather too!! 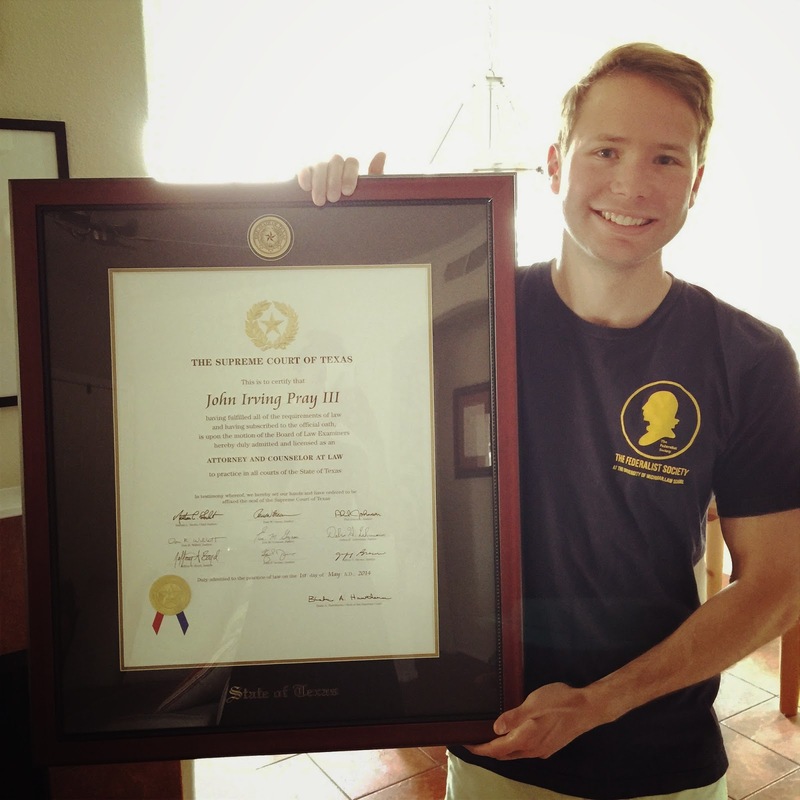 This weekend John got his Texas bar license in the mail. The thing is huge... literally, twice the size of most licenses! But it looks pretty official, so I had to take a proud-wife photo! 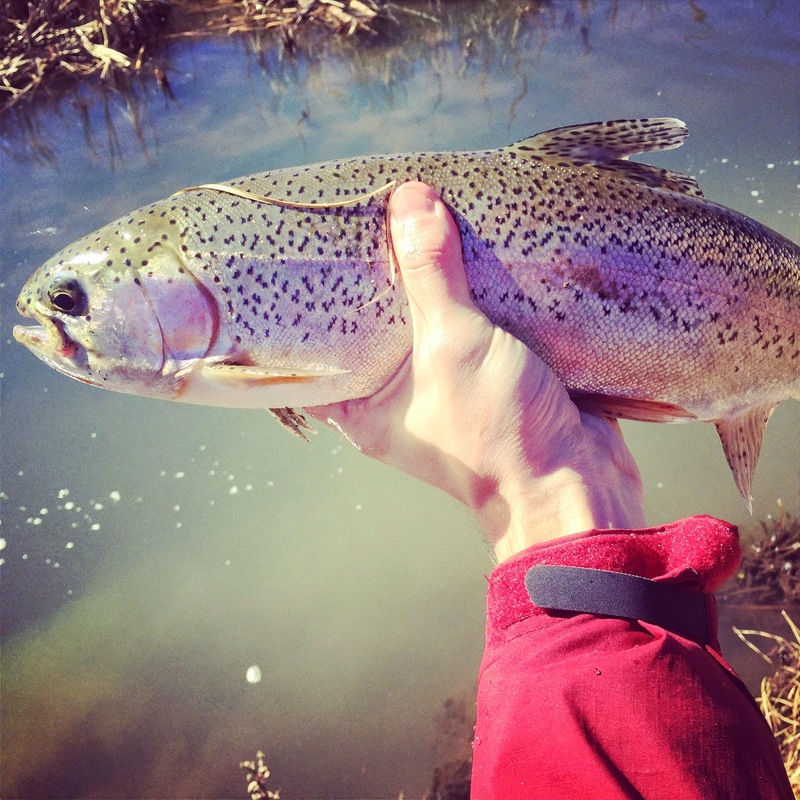 John has been super busy studying for the Arizona bar exam which he will take next week, but he was able to sneak away for a little fly fishing and caught some pretty serious trout! This weekend was great fun and quite productive! Aren't those the best kind?! Friday started off at a spin class with my friend Jennifer at RPM Spin in Scottsdale... it was a great workout, and man oh man, I am so uncoordinated with it comes spinning and dancing at the same time - I'm sure it was hysterical to watch, but I had a good workout and a good time (...however, I still refuse to do zumba - am I alone on this?!). After spin, John took me out for sushi, and you better believe I indulged. We had a wonderful dinner outside while enjoying the warm evening. Saturday, I worked on a little up-cycle project and I am quite happy with how it turned out... thrift store score, and DIY coming soon! 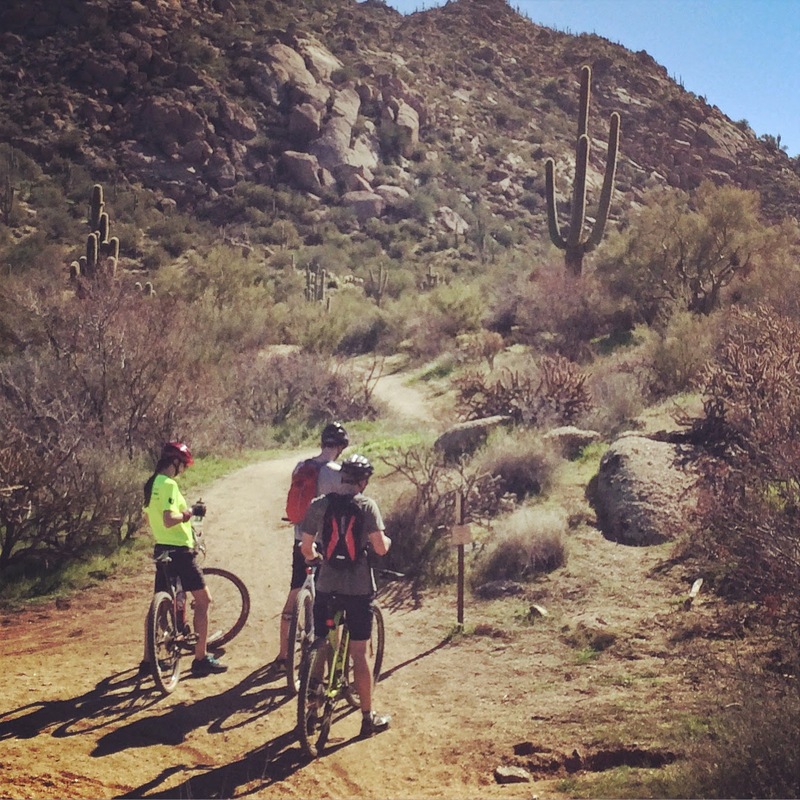 On Sunday John and I met Jennifer and her hubby, Paul, for a mountain bike ride. We were riding for a while, but the terrain was beautiful and the sun was shining - John and I even got sun burned (lesson learned...). 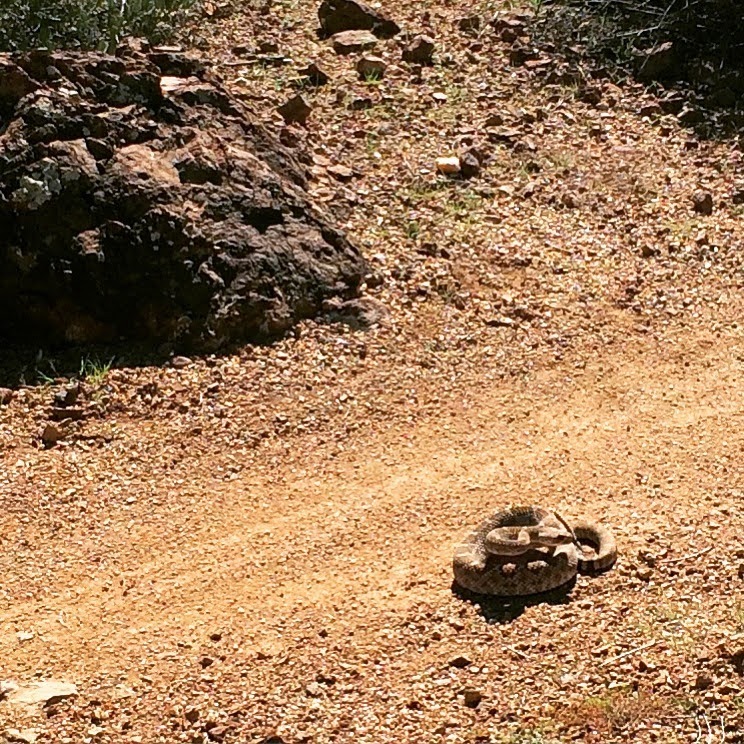 While we were riding, we came across a rattlesnake in the middle of the trail! It was my first time seeing a wild rattlesnake, and it was a good reminder to keep an eye out. The weekend ended with a little Downton Abbey (and nursing my sore and sunburned body... ahh!!). What were you up to this weekend?! I love Valentine’s Day, I really do... but gift giving holidays can get expensive quickly! To make sure that things stay reasonable this year, John and I agreed to only exchange cards. Along with our cards, we decided we would go on a mini-date! We are planning something budget friendly, but still great fun! 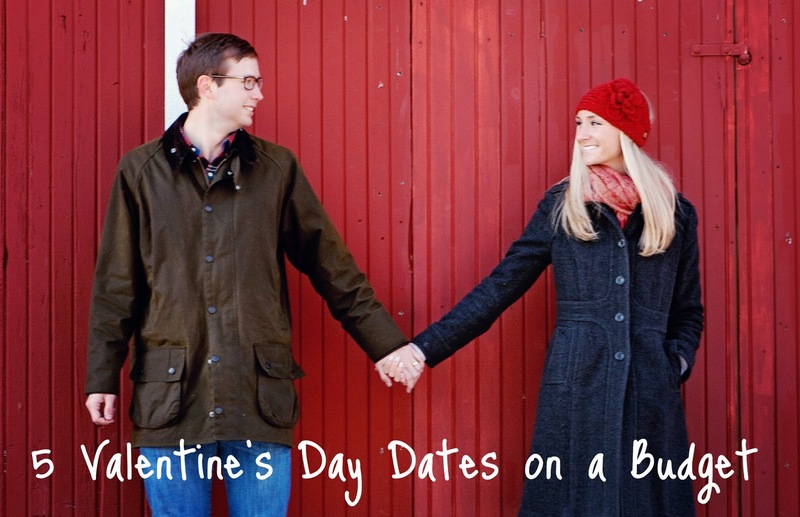 Here are 5 Valentine’s Day on-a-budget date ideas! Instead of having dinner out, go out for breakfast. 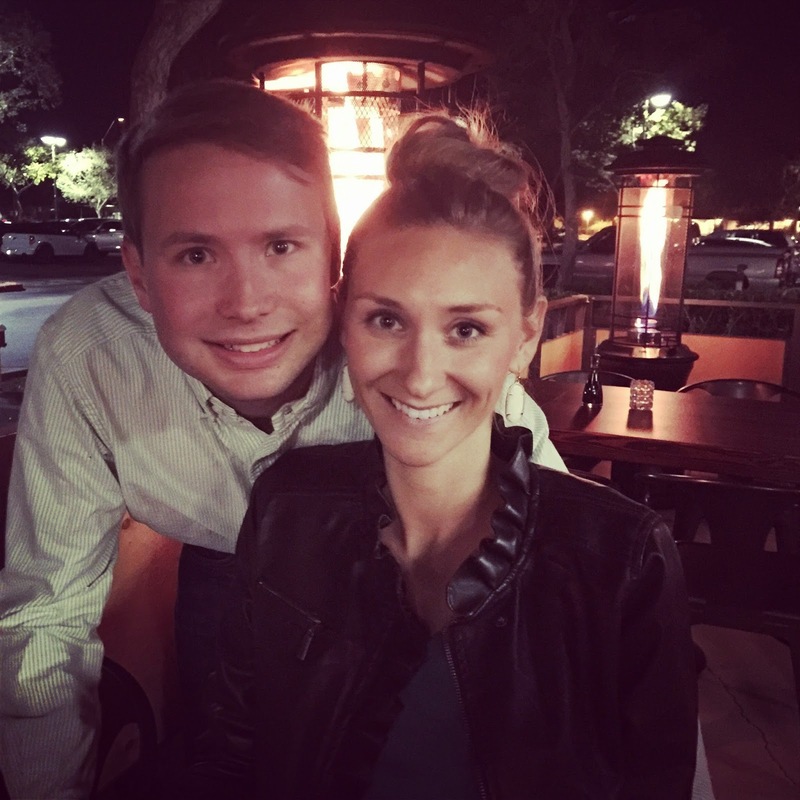 My hubby lovesss breakfast, and I loveee going out to eat – so it works perfect! Your meal will be half the price, but you still get to enjoy a little dining out! John loves movies, and quite honestly, I’m growing to love them too... but sometimes movie tickets can be expensive. To lower the cost (and to avoid the crowds – big bonus! ), go see a matinee! I don’t know about your hubby, but mine likes to be outside and active. If you have never heard of geocaching, you need to look it up – it is basically a treasure hunt (just not for actual treasure!). There are different levels of difficulty, but all will be a good time! If you just can’t get away from a night out, opt for dinner-in and dessert-out. You’ll still get a tasty treat and the fun environment, but not have to break the bank. Let's get real for a second... I have absolutely no recollection of what John and I did for Valentine's Day last year - someone please tell me I'm not alone?! Start a tradition associated with your holiday so you not only have a little something special to anticipate, but also fun times to look back on (and remember!). What are your plans for Valentine’s Day? Any good date ideas?! 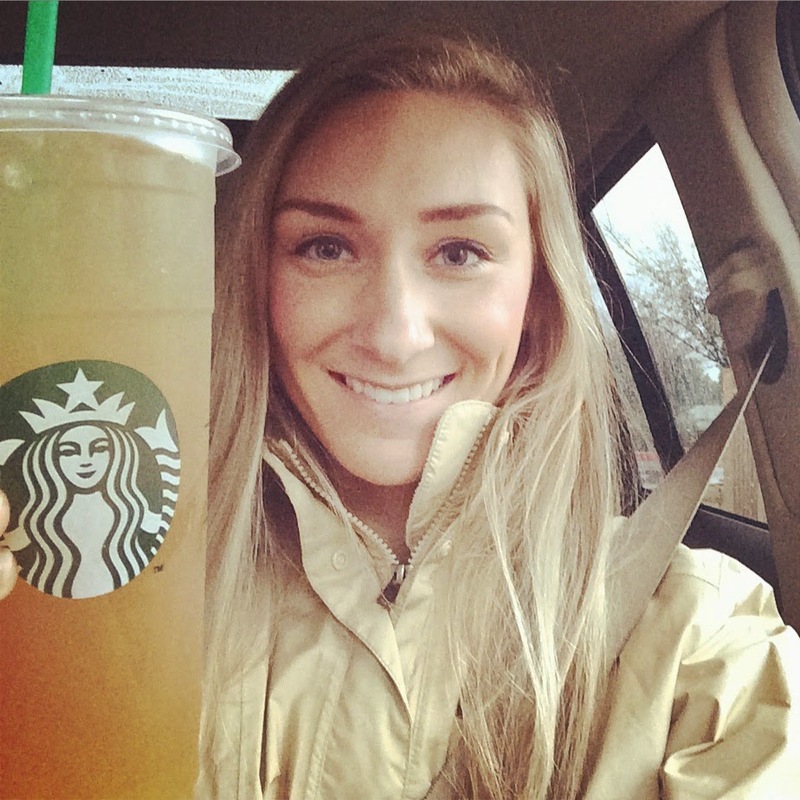 Starbucks unsweetened green tea lemonade with light ice – this stuff is my jam... I don’t know why I ever drank anything else! I fully plan to binge on these until I get sick of them. This Bobbi Brown bronzer... the color is amazing and it legit lasts forever! Cold Tangerines – after hearing so much about Cold Tangerines, I finally bought the book on my iPad, and I am looking forward to starting it – have you read it yet?! Downton Abbey – I feel like it has been a bit slow this season, but I swear, nothing can make me not love this show. A fresh coat of nail polish... bad!! 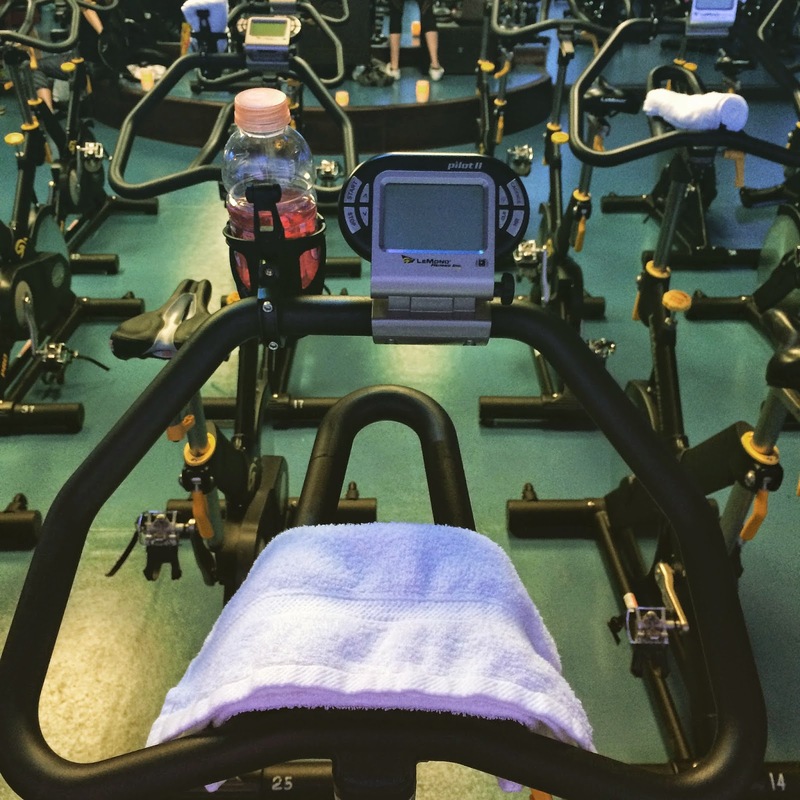 Spin classes – My friend Jennifer and I have come up with a plan to try as many spin studios and gyms as we can for free by taking advantage of the first timer promotions! To get ahead on blogging... I am in a “publish at 11pm the night before” rut, and need some post planning tips, please! John being done with his Arizona bar exam... three bar exams is enough for me (and especially, him!!). 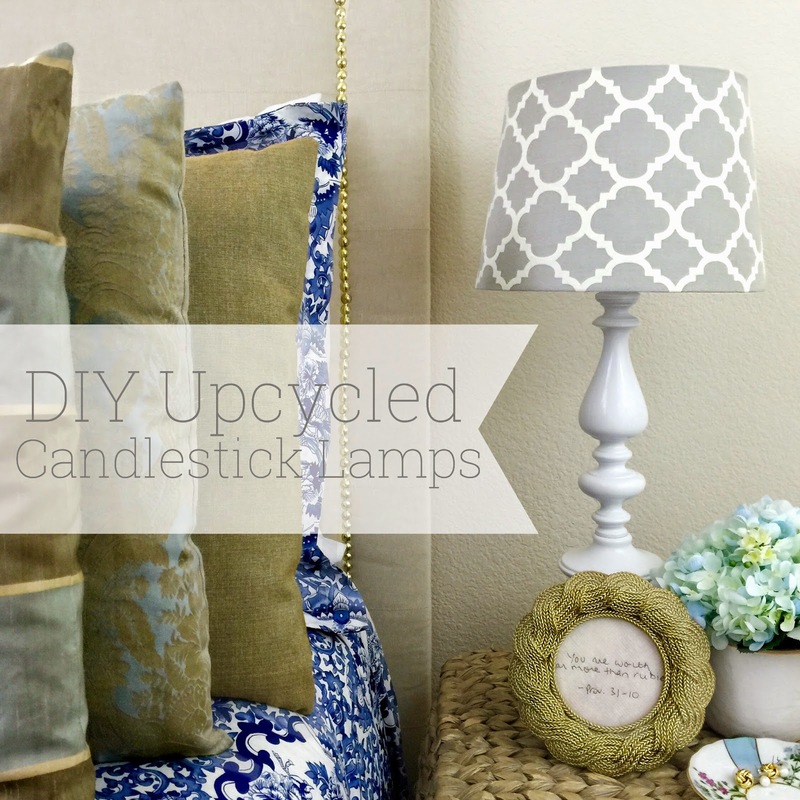 DIYs galore... my DIY list is overflowing with so many ideas – if only there was one more day in a week! Everything that I can to get to bed at a decent time (it shouldn’t be so hard, but it really is!). How to shoot in manual with my DSLR... I feel like I had a good grip on it, then all of a sudden I forgot everything, got really frustrated, and went back to my phone for photos, ack! I could give my friend Elizabeth a big ‘ole hug to congratulate her on her engagement (...and if you remember from this post, I’m not a huge hugger... so this is a pretty big deal!). A vacation! Anywhere with the ocean will do... I am trying to convince John on Rocky Point, Mexico, since it is so close, but he isn’t convinced - we will see! Our cable provider, Cox. Y’all, you think Comcast is bad? Try Cox. We just cancelled our cable completely... I’d rather have no cable than cable that never works. What are you currently up to? !